Imported directly to us here in Denver, our granite wall tiles, siding and panels are part of our natural stone veneer system which is a versatile and easy way to add texture and depth to any design project. 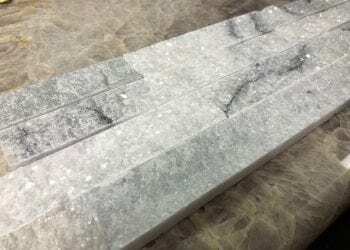 Our customers from all around the world and here in Denver use stone veneers as siding for a fireplace, as wall tiles for a shower, or as a backsplash… you can wrap our granite panels around columns, or use them as wainscoting in or around your home. The options are limited only by your creativity. The ease of cutting and installing these stone veneer tiles makes it possible for any homeowner to use. 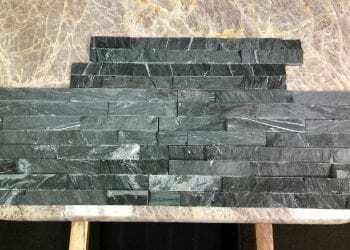 Granite liquidators of Denver has stone veneers that work off a unique cladding system using straight-cut natural stone. This system is designed so that anyone can apply the stones in a variety of ways like siding, wall tiles, and panels, adding natural beauty to their home. Get real stone backsplash and ledgestone for your next project. Do you know the difference between real stone backsplash and other products? The most common products used for backsplashes are made from glass and porcelain tile. They are meant to imitate the look and feel of real stone. A true comparable product in natural stone would typically retail at $10-$15 per square foot. Because of our wholesale business model and quarry direct purchasing, we are proud to bring you this product at the same price you would normally pay for the imitator.